The Mental Health Foundation estimates that 1 in 10 children and young people in the UK are affected by mental health problems. They estimate that about 70% do not receive appropriate interventions to help them at a sufficiently early age. Here are 10 key things that schools can do to help pupils with mental health issues to get the support they need. Schools are not required to have a separate mental health policy. However, many schools do. Some include mental health and wellbeing in their policies on supporting pupils with other health needs or with special educational needs. Mental health issues are also sometimes referred to in behaviour policies and in safeguarding arrangements. Young people with mental health issues will often be vulnerable to abuse, especially bullying. Mental health policies should be driven by senior leaders. School governors, Heads and leadership teams should drive positive whole-school action to ensure all pupils are appropriately supported so they can flourish, learn and succeed. This includes pupils with mental health issues. Schools should have robust arrangements in place for supporting pupils who have mental health needs. Arrangements should cover pupils with everyday worries and emotional issues through to those with recognised mental health problems, such as depression and anxiety disorders. Policies should also cover support for pupils with autistic spectrum disorder and those who suffer with problems such as eating disorders, self-harm and suicidal thoughts. Initial support will typically include discussions with parents and caregivers and the development of agreed care and support plans. Policies should ensure that pupils who are expressing disruptive behavioural problems have any underlying mental health issues addressed. Plans might include targeted interventions such as pastoral support, counselling and anger management. The needs of young people who have diagnosed mental health issues are usually best met through a co-ordinated approach in partnership with other services involved, especially NHS mental health services. Appropriate guidance should be followed. For instance, the National Institute for Health and Care Excellence (NICE) publish the following guidelines. Seeking help is a big step and is often a difficult one for individual young people or for families to make. Schools can make it easier by providing appropriate support and information in an accessible way. Teachers should ensure that their pupils know they can approach them at any time. They should be trained to listen and empathise. Counsellors should be available if a pupil wants to talk to someone else. Many schools run mental health peer support schemes where young people support one another. Such a scheme not only provides effective support but also helps break down the stigma of mental health issues. The need for an assessment by a healthcare professional will be identified by a GP. In some cases, schools can help by raising concerns with parents and encouraging them to seek help or by helping to facilitate contact. Local GPs are supported by specialist NHS teams who are part of community Child and Adolescent Mental Health Services (CAMHS). CAMHS provides a range of interventions. This can include drug therapies and “talking therapies” delivered by clinical psychologists. Schools should establish links with such services and ensure that suitable training and advice is available. Recent years have seen problems in accessing community mental health services due to a lack of funding and resources. However, the Future in Mind strategy, published by the Government in 2015, proposed the expansion of mental health services “built around the needs of children, young people and their families” so they get the right support from the right service at the right time. Transforming Children and Young People’s Mental Health Provision, published jointly by the Department for Health and Social Care and the Department for Education in 2017, commits a further £300 million and includes a focus on developing links between schools and health services. Other help is available from charities such as the Mental Health Foundation, YoungMinds, Mind, The Art Room/Place2Be, The Children’s Society, The Mix, Childline, Anna Freud National Centre for Children and Families, Children and Young People’s Mental Health Coalition and Action for Children. Many of these charities offer one-to-one support and counselling as well as training and advice for school leaders and staff. The foundations for healthy emotional development are known to be laid down in childhood. Positive early experiences are particularly important. Feelings of attachment, security and positive stimulation within loving relationships help to strengthen a child’s developing emotional and social systems and make them more likely to thrive. However, not all children experience such a nurturing childhood. Some may be subject to stress and adverse experiences that instead contribute to developmental problems and emotional difficulties. This includes experiences such as abuse, mistreatment and neglect. It also includes other risk factors, such as exposure to family settings characterised by domestic violence, parental mental health problems or substance abuse. This is an important consideration, especially in primary schools and nursery classes. Adults who spend time with young children, such as teachers, teaching assistants and other youth workers, have a responsibility to help in their healthy mental development and wellbeing. Given appropriate support, many children can overcome the challenges of early trauma and emotional harm. All children and adolescents can from time to time experience difficulties with their behaviour, feelings, thoughts and emotions. However, some may have more serious problems which are often identified by developmental concerns relating to the way they express emotions and form social relationships. In some cases, there is a tendency for more weight to be given to cognitive, physical and verbal development than to emotional development. However, all are vital and teachers in both primary and secondary schools should be aware of what indicates healthy development in this respect. Understanding how emotional wellbeing can be strengthened or disrupted in childhood and at school should be a key element in staff training. Knowledge in this area will help staff to provide the kind of environments and experiences for pupils that help to promote good emotional health and prevent problems. Training for staff involved in pastoral roles is especially valuable. Training should enable staff to identify the signs that a child might be having difficulty in their social and emotional development. It must include ongoing safeguarding training. Abuse, mistreatment and neglect, including domestic violence and family discord, are all likely to harm children and cause emotional damage. Mental health and wellbeing is an excellent topic for staff inset training. In this context, it can cover both pupil mental health and staff wellbeing. Specialist guidance, training and support can be obtained from local NHS Trusts, particularly CAMHS teams. Parenting can be challenging for all families at times, especially during periods of stress. However, it can be particularly challenging for families where parents or family members themselves suffer from mental ill health. Parents who have mental health issues or physical health conditions should be supported wherever possible to help them deliver effective parenting. Support in these cases may require home liaison. Teachers should include mental health issues in lesson plans and encourage pupils to explore issues around mental wellbeing. Learning about mental health is the best way to combat stigma and help young people to adopt healthy coping strategies. The PSHE Association has published guidance for schools on including mental health and emotional wellbeing in personal, social, health and economic (PSHE) education programmes. The guidance is accompanied by set of lesson plans spanning Key Stages 1–4. The resources can be accessed on the PSHE Association website. Many schools also use events such as assemblies to underline the importance of pupils looking after their mental health and talking to someone if they feel the need to. Working with families who are under strain can be stressful for teachers and other school staff. They should be adequately supported to cope with this stress and to address any mental health needs they themselves may have. See a template Stress at Work in Schools Policy. This will mean that they are more able to deliver high-quality care for pupils. Mental health and wellbeing are increasingly being recognised as important workplace issues in their own right. School governors and leaders should strive to adopt the kind of flexible workplace policies that promote mental wellbeing and support staff who may have mental health issues of their own. Appropriate support mechanisms should include effective resources, support, supervision and access to occupational health support where required. raise awareness of mental health issues. As if the statistics quoted above weren’t worrying enough, it gets worse—the prevalence of mental disorder in 5 to 15 year olds is only https://digital.nhs.uk/data-and-information/publications/statistical/mental-health-of-children-and-young-people-in-england/2017/2017 increasing. Clearly, life’s pressures are affecting younger people more and more. It cannot be overstated that this is an issue that must be addressed. Supporting younger people with mental health issues in every way possible is becoming ever more important. When you have that support from an early age, it becomes much easier to take advantage of support in later life. Making it clear to younger people who struggle that help is available lifts the stigma surrounding mental ill-health. And when you lift that stigma, you have an effect that will last a lifetime. Nearly one in seven people right now will experience mental health issues in the workplace. If each of these people had been offered compassionate support from childhood, and been educated in mindfulness, that number would be reduced. In a perfect world, articles like the above wouldn’t be needed—everyone who struggles should be receiving the support they need. But for now, follow the advice, make policies, plans and procedures the best you can be, and you’ll be putting the future into healthier, happier hands. Further guidance and resources can be obtained from organisations such as the Mental Health Foundation. Details of their Mental Health in Schools: Make it Count campaign can be found at www.mentalhealth.org.uk. 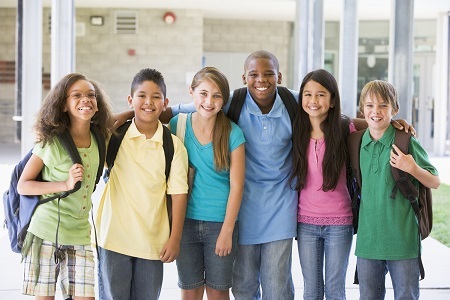 Information about Mentally Healthy Schools can be found on the Heads Together website.